For our Mickey Mouse party, we also made these super easy & festive Mickey cupcakes for our friends. All we did was bake cupcakes (using a boxed mix) and frost with red frosting. 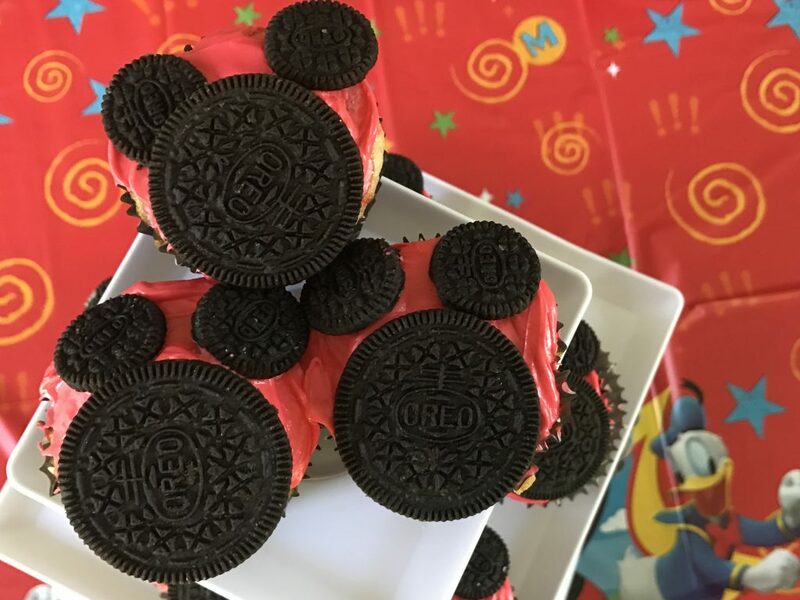 To make the Mickey Mouse on the top of the cupcake, we put half a regular sized Oreo for Mickey’s face. Then to make the ears, we split a mini Oreo in half. 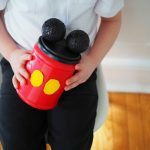 It was super easy & the kids loved the Mickey Mouse cupcakes! Now its time for the craft stations that we set up. All the crafts that we did during the playdate are pretty simple, so preschoolers can complete them on their own without extra assistance. The kids had a lot of fun and were excited to “craft” the morning away! 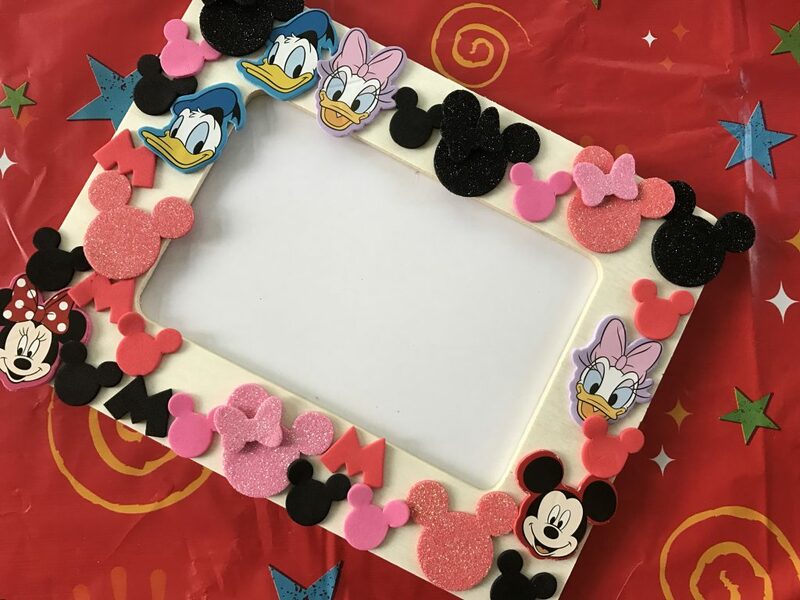 Directions: Use the stickers to decorate the frame. 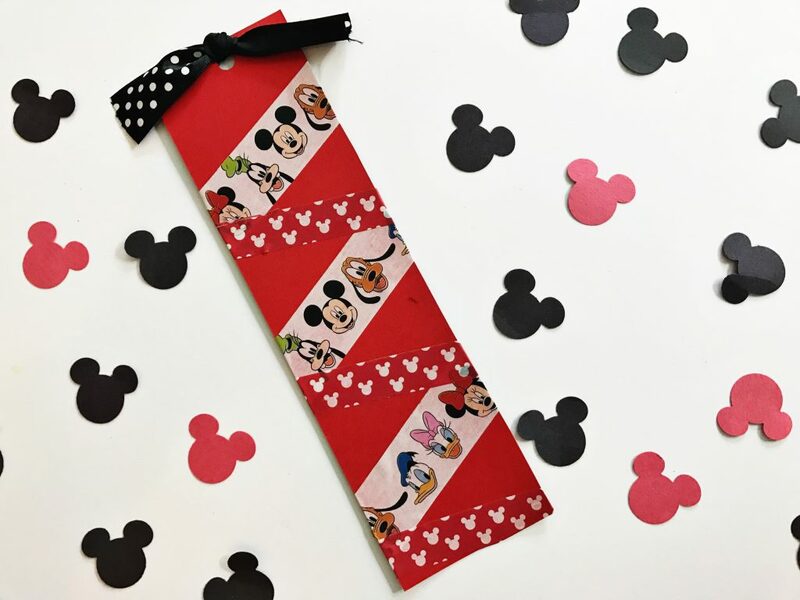 You can take it home & put your favorite Disney themed picture inside. This could be one in a costume or a picture from a trip to Disney World or sitting with your favorite Disney stuffed animal. 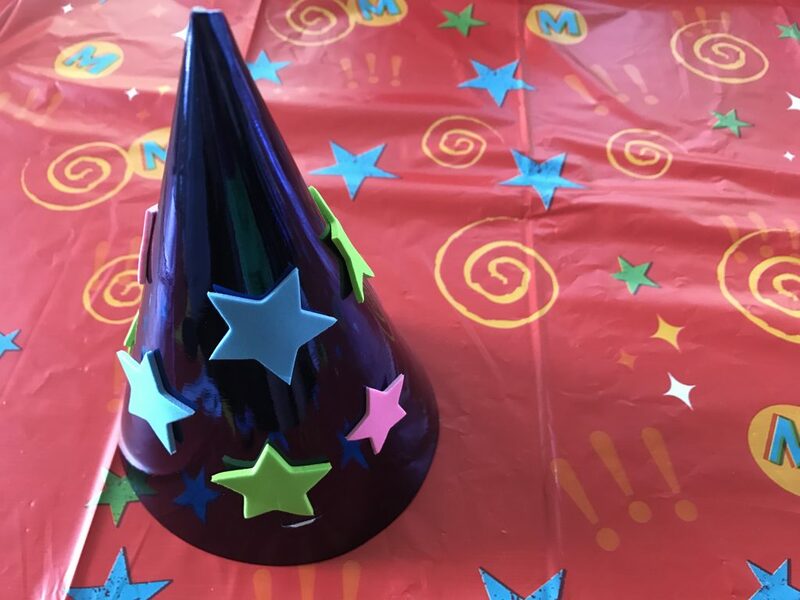 Directions: Use the stickers to decorate the party hat into a magical Sorcerer’s Hat just like Mickey’s! Directions: Decorate the red card stock with the washi tape. Punch a hole in the top & tie a ribbon. 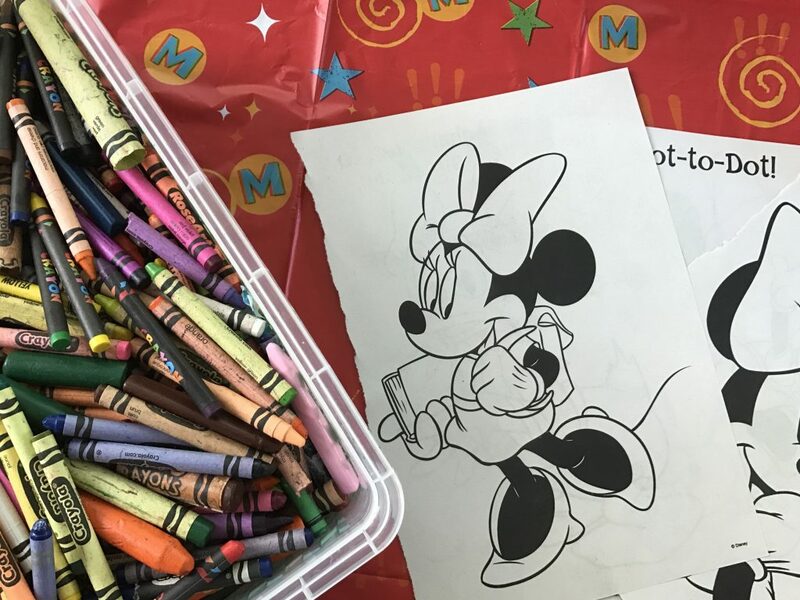 Directions: Place several different Mickey & Minnie Mouse coloring pages on the table with crayons. 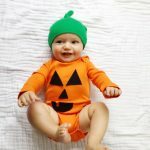 The kids can color and use stickers to decorate! 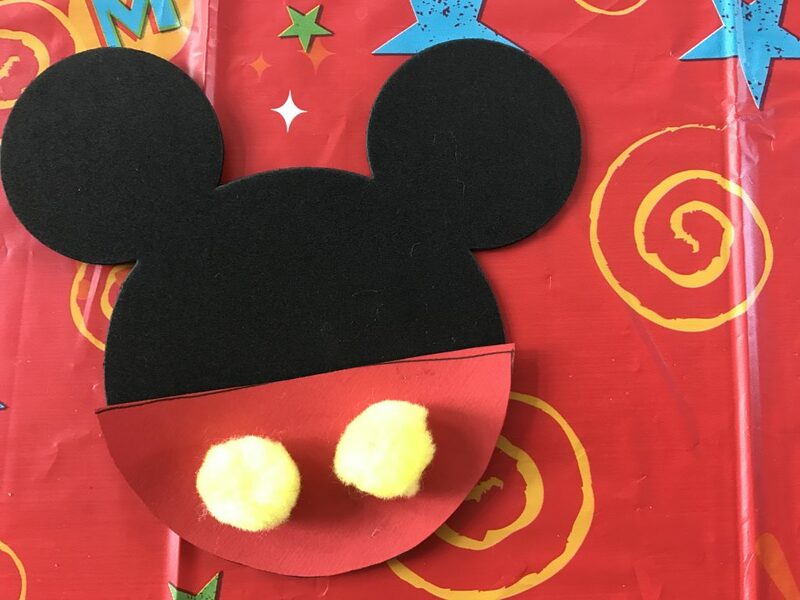 Directions: Cut out a semi circle from the red cardstock and glue onto the Mickey Mouse foam heads using craft glue. Add the pom-poms with the craft glue. 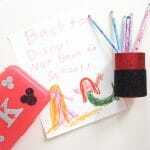 Adhere the magnets to the back of the Mickey Mouse to use as a magnet! 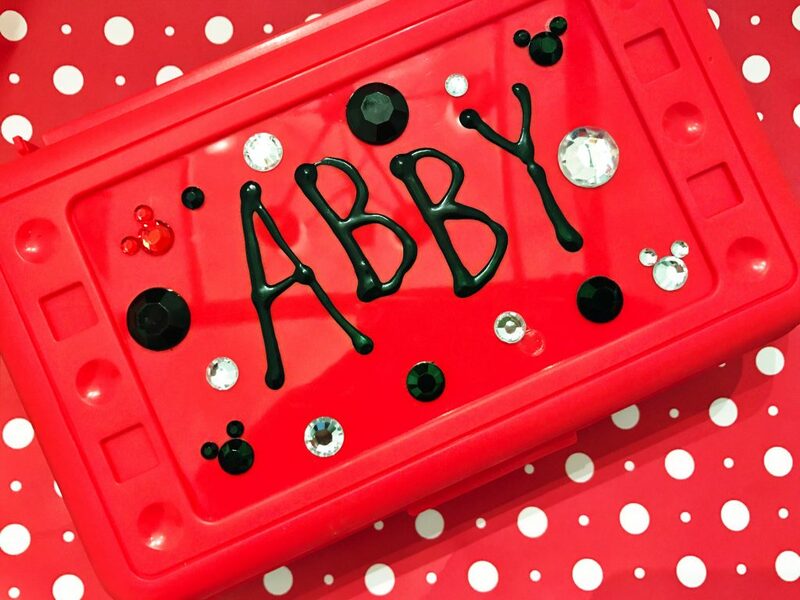 Directions: Before the party, write everyone’s names on the pencil case using Puffy Paint and let dry. For the station, the children can decorate their own personalized pencil case using the gem stickers! Directions: This one may need adult supervision with young children since you are using black craft paint. Place newspaper inside the canvas bag so the paint does not bleed through. Pour some black craft paint onto a paper plate. 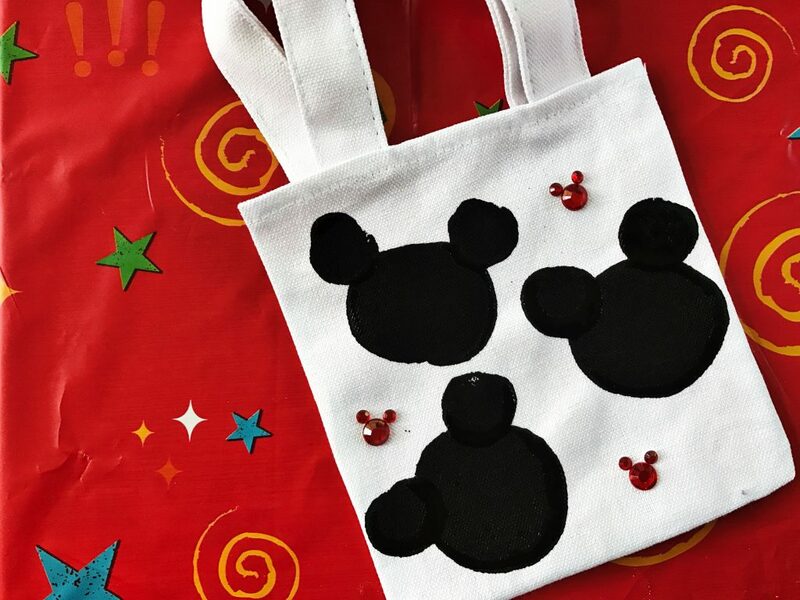 Use the round sponge brushes of various sizes to make Mickey Mouse heads on the bag. 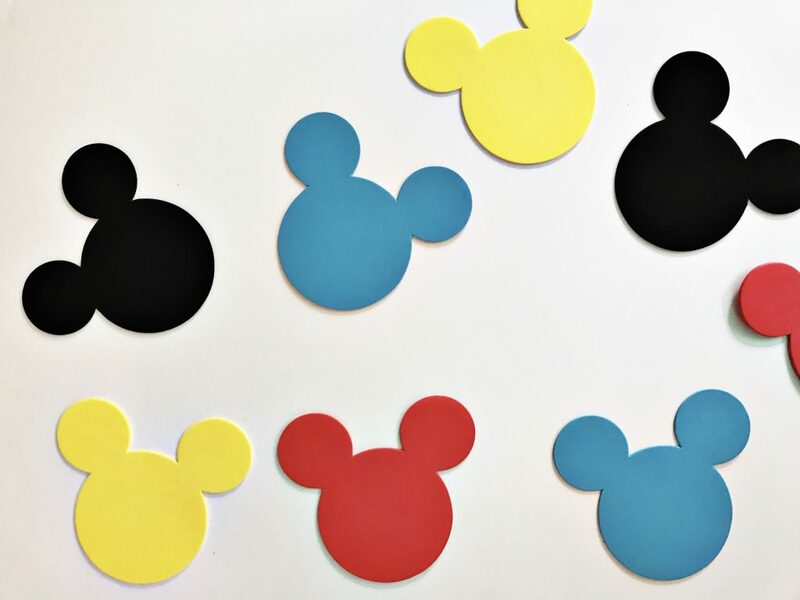 Let dry & decorate with Mickey gem stickers. We finished the Mickey Mouse party with one fun game with all of the children. I found these fun foam Mickey Mouse heads at our local craft store. 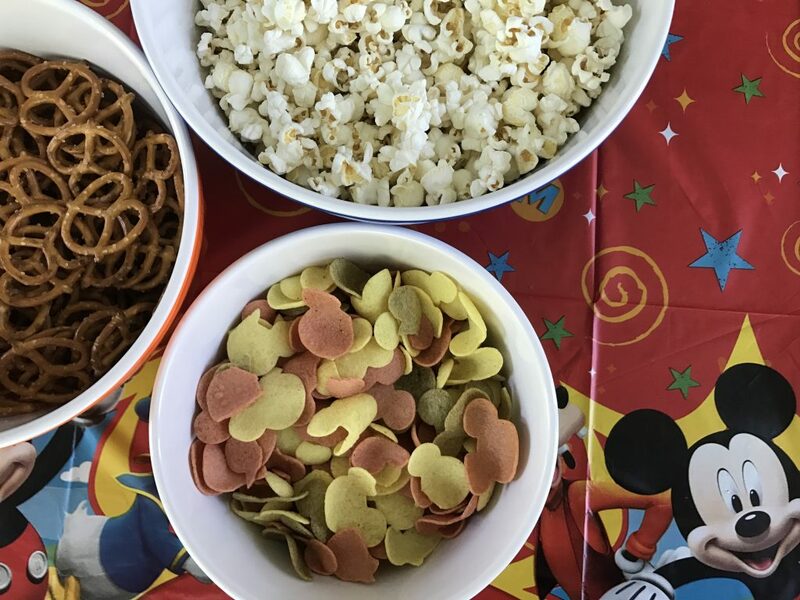 Just like there are “Hidden Mickeys” at Disney, we decided to have some “Hidden Mickeys” at the playdate. Before the party, I hid a bunch of these Mickey Mouse heads in the yard. At the end of the party, we had the children run around the yard looking for as many “Hidden Mickeys” as they could find. The kids had a blast. 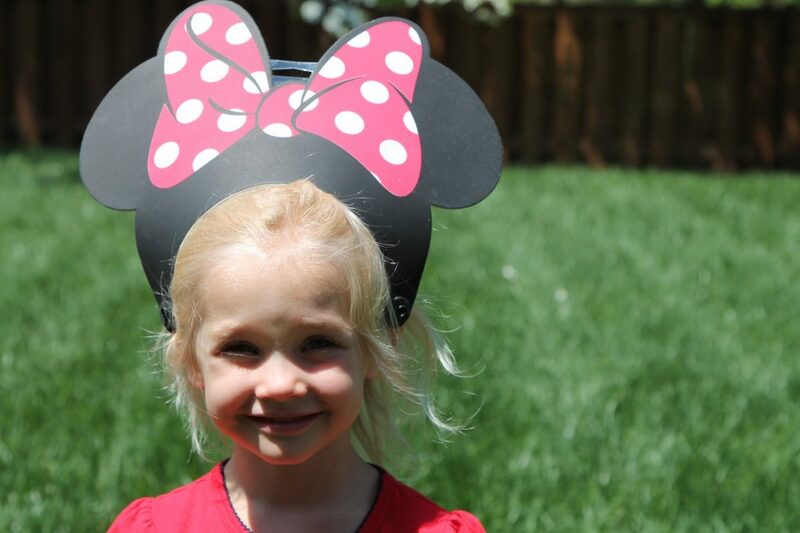 To wrap up, the kids each got to take a Mickey or Minnie Mouse visor home. 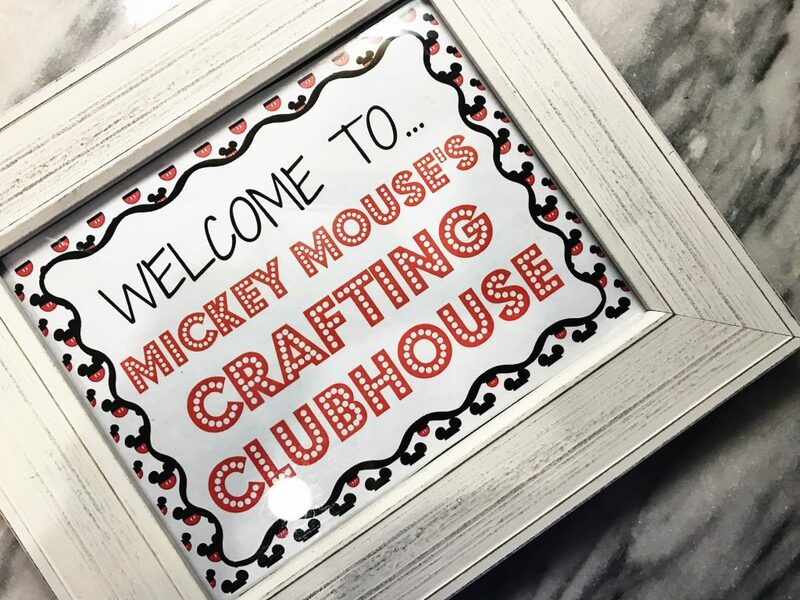 It was one magical & memorable Mickey Mouse party! 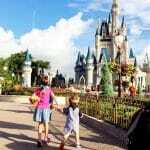 For more Mickey Mouse & Disney themed posts, make sure to check out our Disney category in our Travel section.